Every cat loves a good cat toy, and we are sure the selection we have on offer will be more than enough to tempt you and your cat. Everything from the real fur mouse to the latest laser toy will give your cat so much fun. Cat toys are designed for interactive use, and it is recomended that your cats are supervised when playing with them. Please check your cat toys on a regular basis, and if you find any loose material or damaged attachment, discard the toy immediately to prevent accidental swallowing. Please dispose of all cat toy packaging responsibly. As they contain small parts, cat toys are not suitable for children under the age of five. Cats love to chase spiders, and here is the ideal opportunity. These spiders are friendly, not scary. Colours will vary. 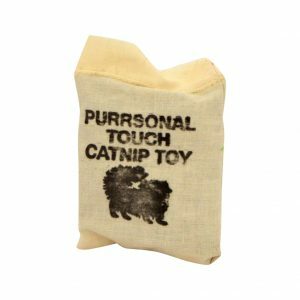 The ultimate catnip toy for your cat. 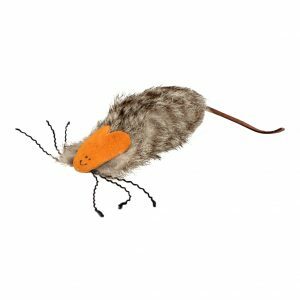 The Road Kill Rat fur cat toy is a favourite with cats everywhere. 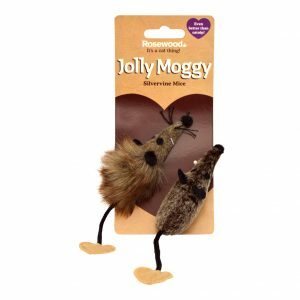 The Jolly Moggy plush fur Silvervine Mice are enhanced with silvervine, which is a natural attractant for cats. Pack of two. 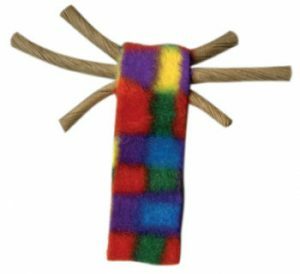 The Cat Dancer Whisker Chasers look a bit like a spider, but don’t worry, your cat will soon chase them away! Pack of 2. 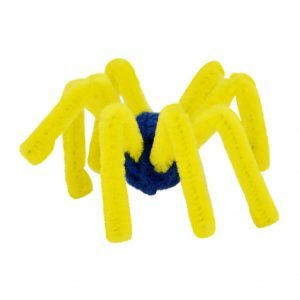 The springy toy that all cats enjoy.